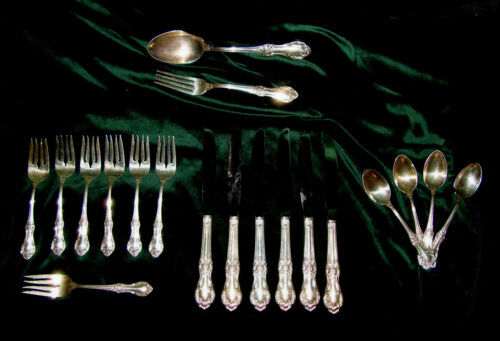 $2275.0 Wild Rose Sterling Silver Flatware set by International Service for 12 104 pcs. 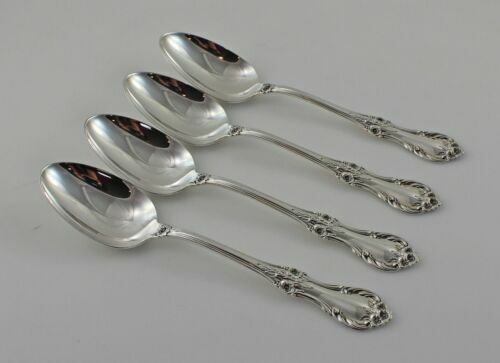 $159.0 Wild Rose by Watson Sterling Silver Dinner Fork 7 1/2"
Buy: $199.0 International Wild Rose Sterling 7 Cream Soup Spoons 6”. 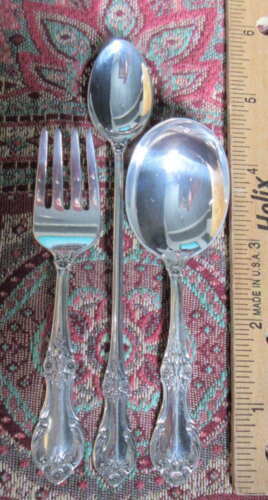 Buy: $184.5 Wild Rose International 3pc Baby Set Mint! 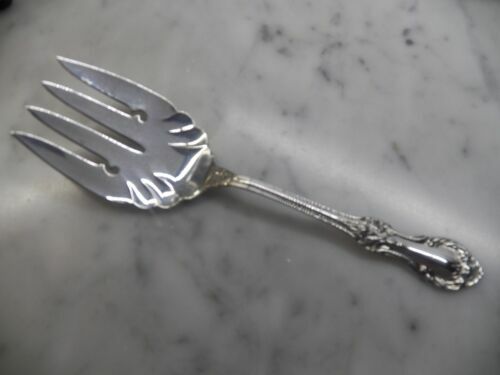 NO MONO!! 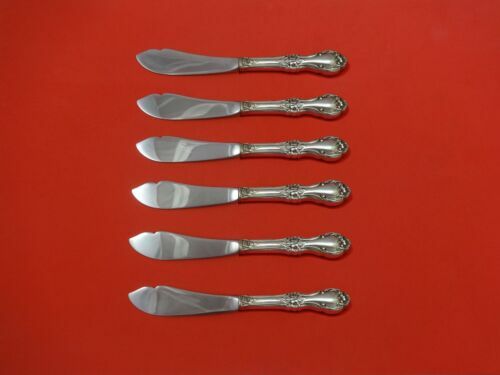 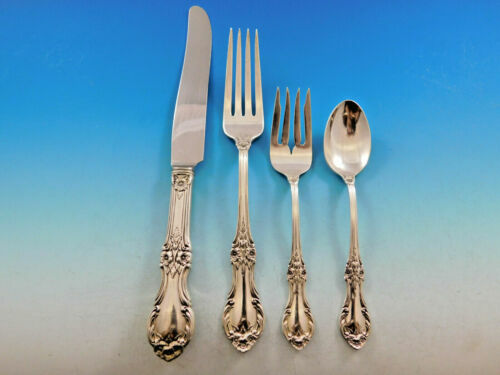 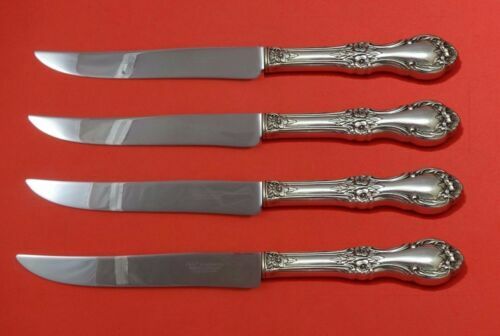 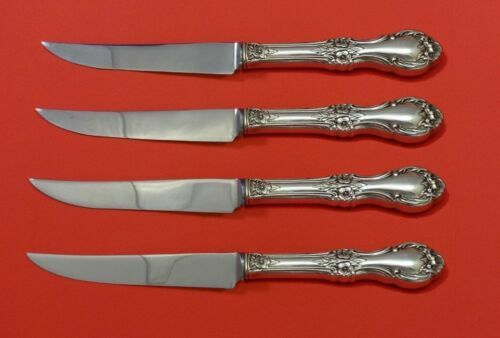 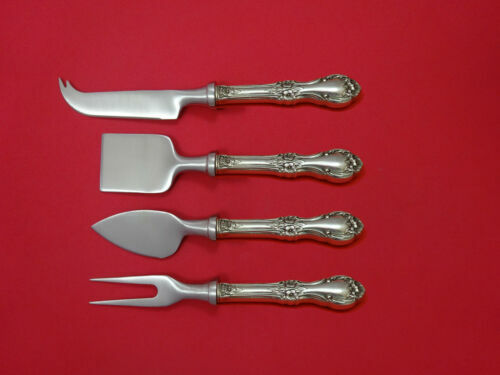 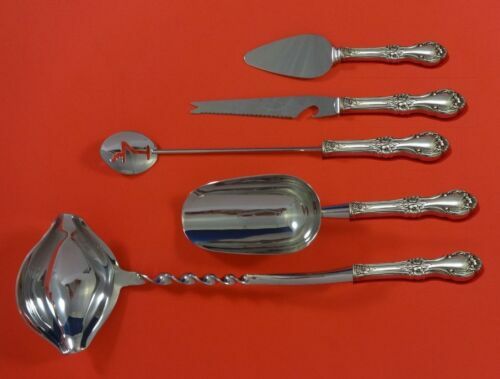 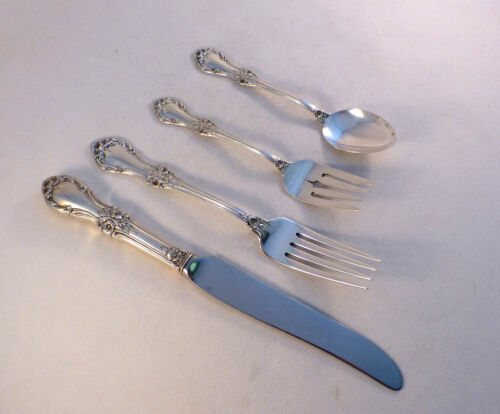 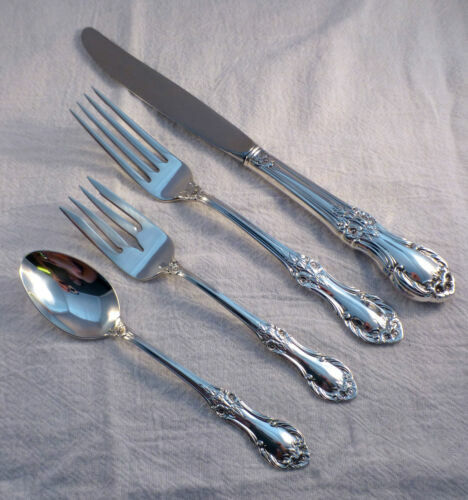 $279.0 Wild Rose by International Sterling Silver Fruit Fork Set 4-Piece Custom Made 6"
$429.0 Wild Rose by International Sterling Silver Trout Knife Set 6pc. 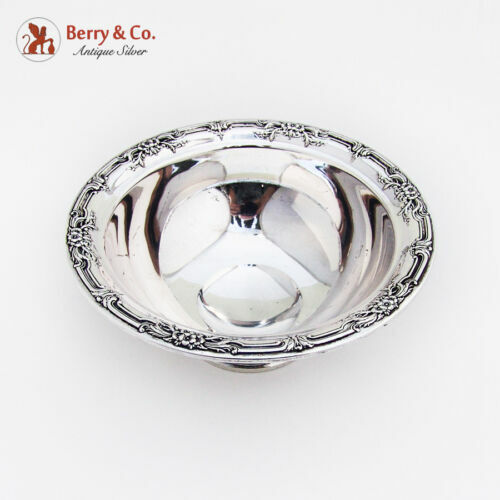 Custom 7 1/2"
$289.0 Wild Rose By Watson Sterling Silver Gravy Ladle 6 3/4"
$150.0 Sterling bowl. 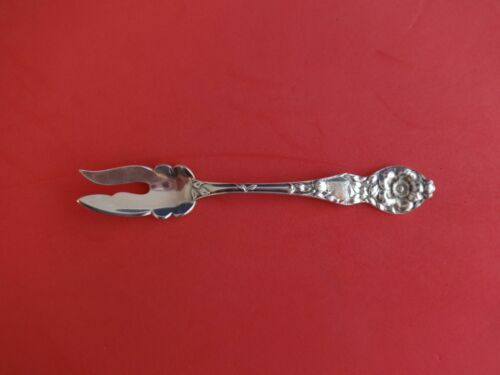 International Wild Rose. 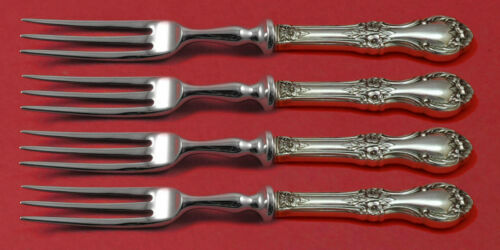 263 grams. 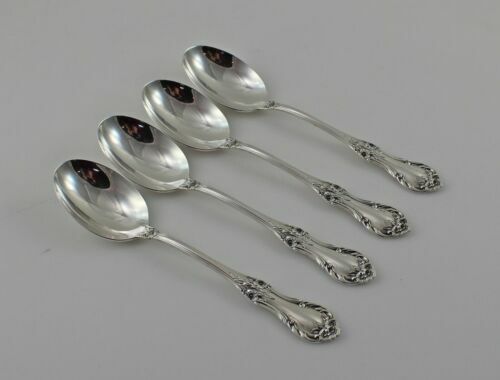 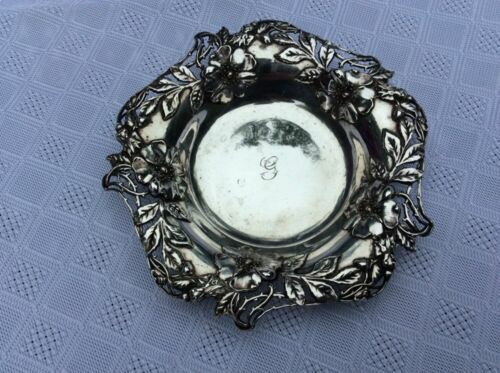 $209.0 Wild Rose By International Sterling Silver Berry Spoon Shell 9 1/4"
$159.0 Wild Rose by Watson Sterling Silver Cheese Fork 5 1/2"